Mysterious, woody, full of character KEY FEATURES & BENEFITS Shower Gel with invigorating olive leaf extract, which gently cleanses and fortifies the skin's natural moisture. maintain normal hydration levels, while the composition is enhanced with moisturizing and soothing properties of aloe active. Ideal for everyday use. 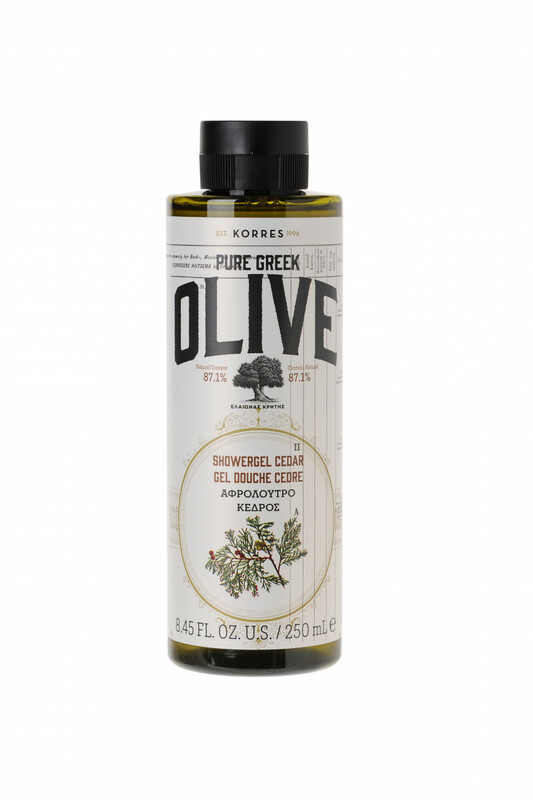 KEY INGREDIENTS With organic extract from olive leaves olive groves of Crete. FORMULA FACTS & INGREDIENTS 87.1% Natural content FORMULA FREE OF Mineral Oil, Petrolatum / Parain Wax, Silicones, Parabens, Propylene Glycol, Ethanolamines, PEG, ALES, Synthetic dye, Phthalates, Polycyclic Musks, Retinol, Animal by-products. pH neutral. May contain traces of wheat / nuts. Suitable for vegetarians / vegans. Biological olive oil: The olive tree, with fruit to the deep "old age" is the sacred tree of ancient, and modern Greek. It appears very frequently in mythology as a symbol of peace, longevity and prosperity. The famous worldwide product obtained from the fruit of the tree, olive oil, is the secret of health and longevity of almost all people living in the Mediterranean basin. Besides its nutritional value, it is known that men and women in the ancient world smear their bodies with oil to pamper and protect it.